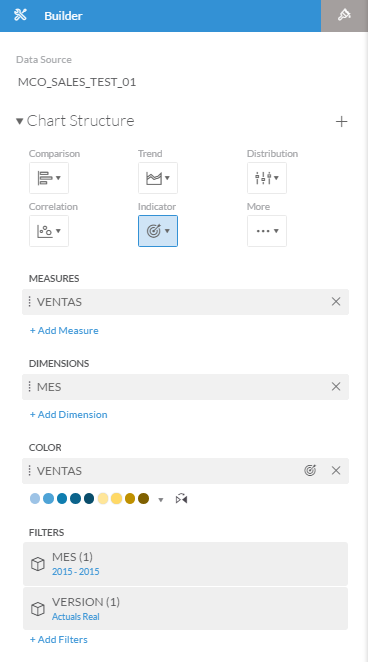 Dashboards and Management reports are usually described as very aggregated and comparable information presented as tables, graphs or gauges for actionable insight. The last part is the most important: actionable. 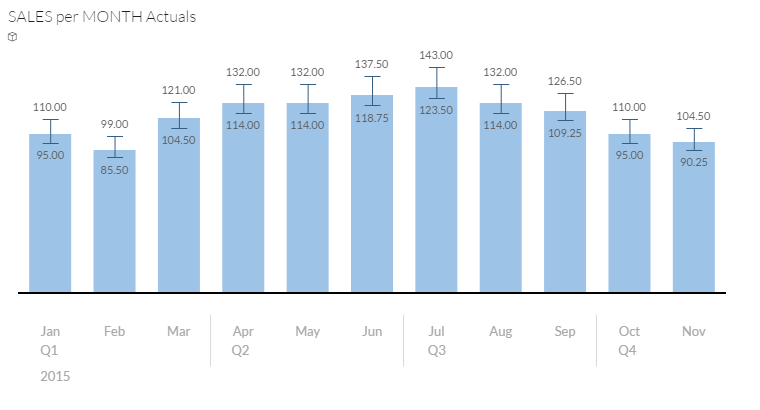 How does dashboards turn data into actionable information? Most commonly by comparing Actual, Plan and or Forecast. This is the way management knows if processes are performing OK or some decision is needed to turn things back to what is expected. Adding objects to help users get a better, simpler and even instant interpretation of data being visualized are powerful tools to improve visualization quality and usability. This is why they are also known as “Actionable Insights”. 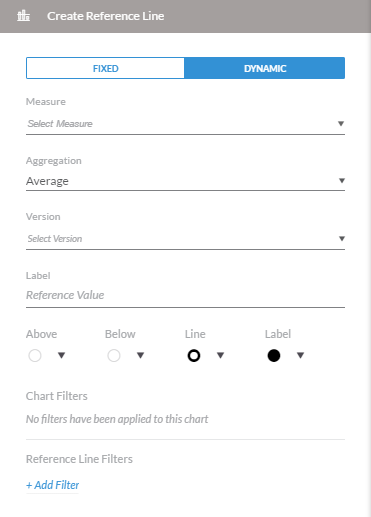 SAP BusinessObjects Cloud (BO Cloud or simply BOC) offers interesting, useful, IBCS compliant and easy to use objects to help viewers or users get the best out of their visualizations. 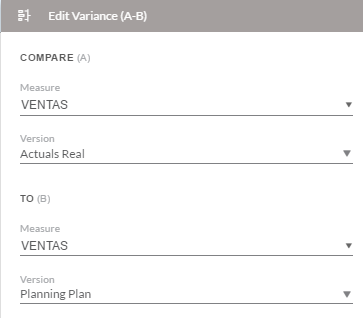 Variance lines: this lines positioned on top or left to the graph (depending on the graph orientation focuses on the difference between Actual VS Plan (AC-PL) or Forecast VS Plan (FC-PL). 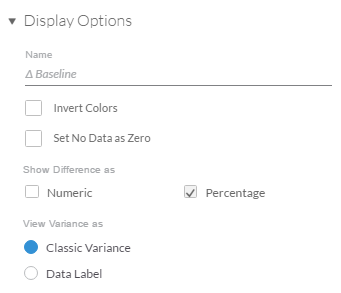 There are options for showing differences as values (left side) or percentages (right side) or even both (notice they use different icons and they are color coded as stated by IBCS). 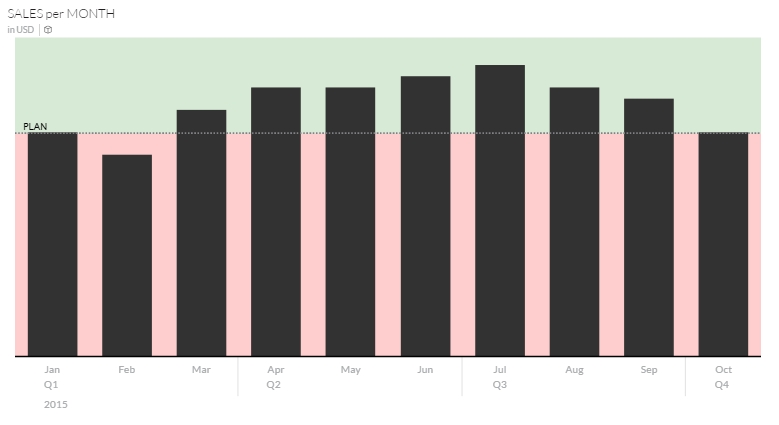 The designer can create these lines from the graph’s “More Actions” menu or Designer right side panel. The settings are very simple, just select Measure (Key Figure) and Version to be compared. 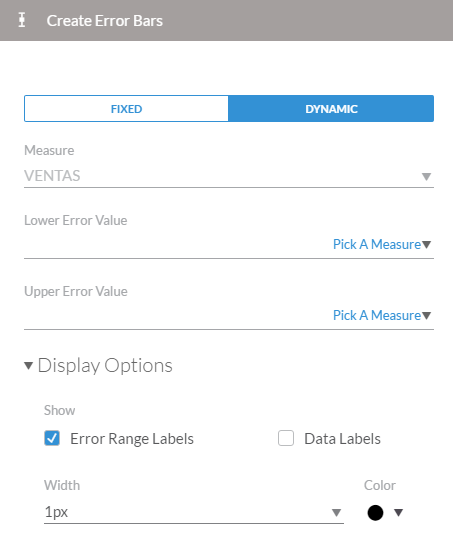 Display options allow for new Text (Name), choosing from Value or Percentage, Inverting colors and others. 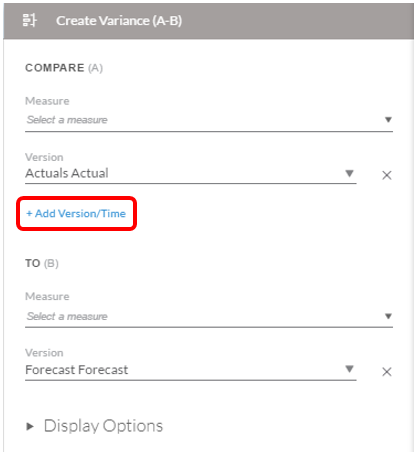 Variance lines are now capable to compare versions and/or time periods. The following images illustrates a Previous Period (in this case Month) comparison for the same Version (Actuals). 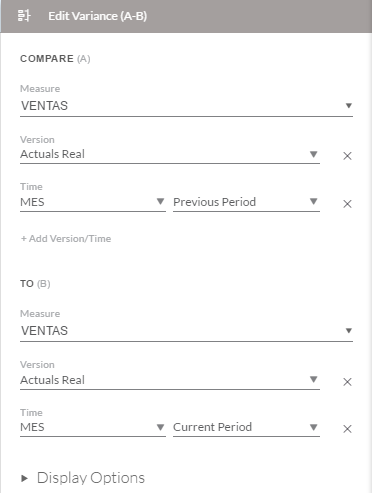 Notice that there is a new link “+ Add Version/Time”. In the Edit dialog, there is a new line with a “Time” dropdown list and a period dropdown list. From the first list choose the time dimension to use. From the second list, choose “Current period”, “Previous period”, “Previous year” or “Previous Month”. Use Period when using something other than Year or Month. Reference Lines: these lines can help the viewer see if the results are as expected simply by looking at the chart, no need to even know the values. Columns going over the line are OK, others are not. Settings can be accessed from the graph’s “More actions” menú. Dynamic configuration, suitable for drilling ready charts, it uses different aggregations (Average, Max or Min) to drill the reference line up and down based on a Measure (Key Figure). Drilled up into Quarter level from Month level, reference line is automatically recalculated, based on the configuration (Average). Bullets: this new graph is a replacement for speedometer, thermometer and other gauges. 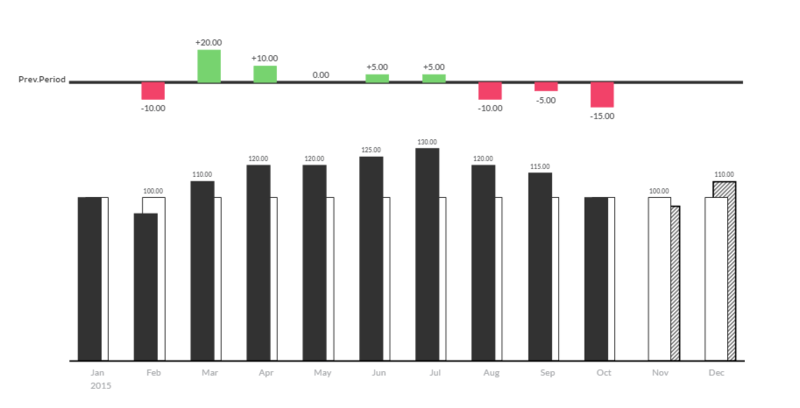 It shows single values in a color coded bar that helps the viewer or user understand the value in terms of Good, Mid or Bad. There is a little catch on this graph. It needs a Conditional formatting or Thresholds created beforehand. Look for this icon in the Tools bar. Edit Story Threshold panel let the designer select Model and Measure to apply on. 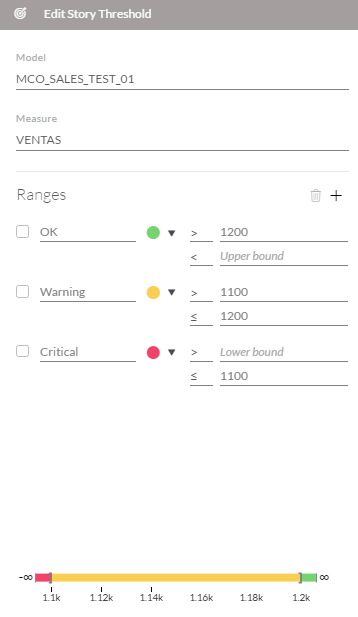 Then Ranges can be created (two or more), by setting Name, Color, Lower and Upper bounds. Make sure ranges do not overlap. Take special notice on the use of > and >= symbols. Once the Threshold is set, a Bullet graph can be created. The Designer panel shows the builder settings. 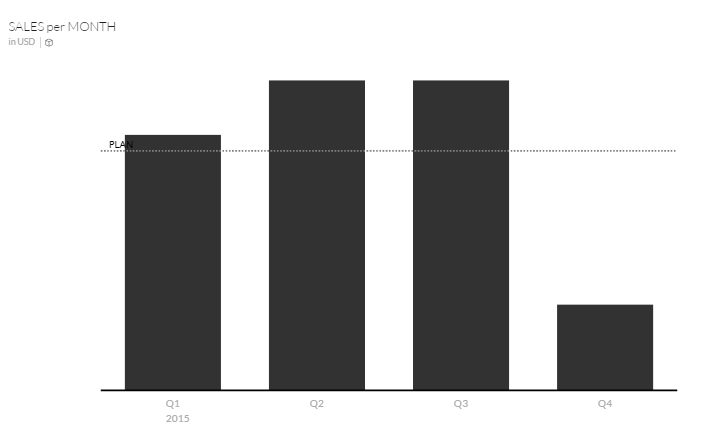 Chart Structure allows for choosing the Chart type. Measures let the designer choose the Measure or Key figure to use (one or more). Color is the key setting. Choose the Threshold to use on this bullet chart. If selected several Measures and or Dimensions to disaggregate, all bullets will use this Threshold. 4. 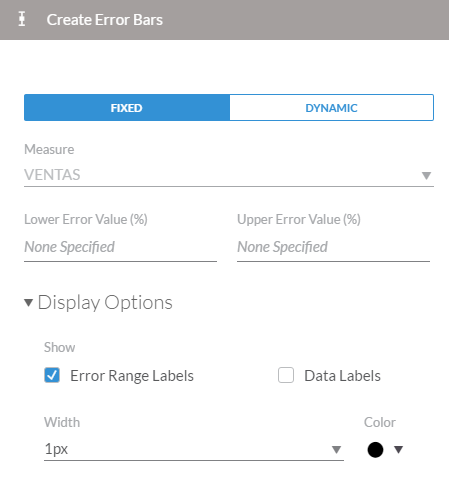 Error Bars: this functionality adds an Upper and Lower levels, so business user can view how data moves and how wide its range is. 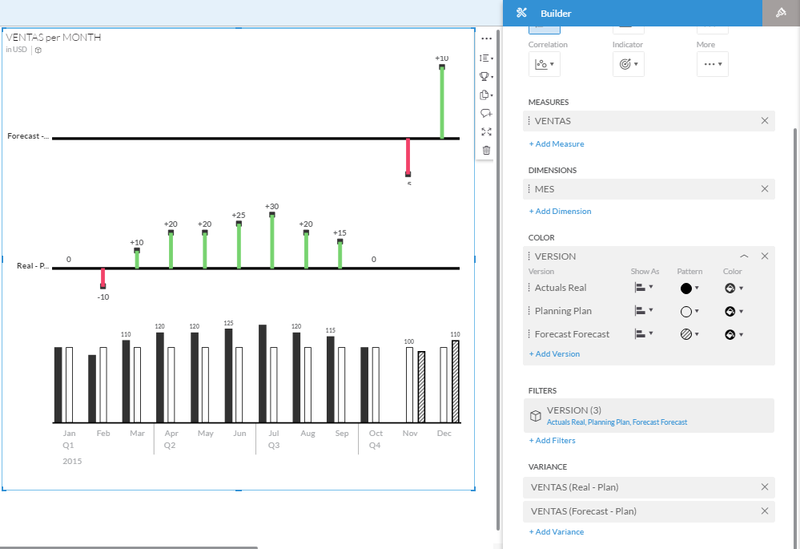 The Visualization Developer can access the “More Actions” menu (upper right corner with three dots) and select “Add Error Bar”. There are two main possibilities: Fixed and Dynamic. 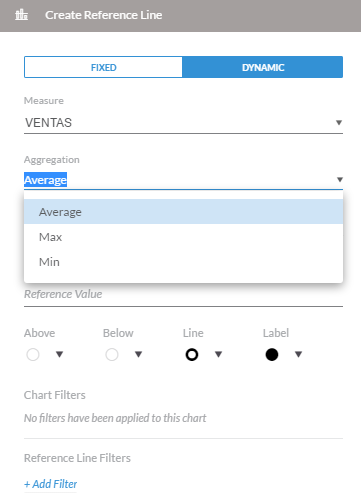 The first option allows the developer to enter fixed values and Dynamic allows selecting Measures (Key figures) to be used as Upper and Lower values. 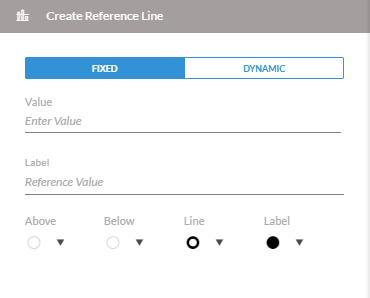 Format allows for choosing color, and width of the line. Also showin or not data labels. 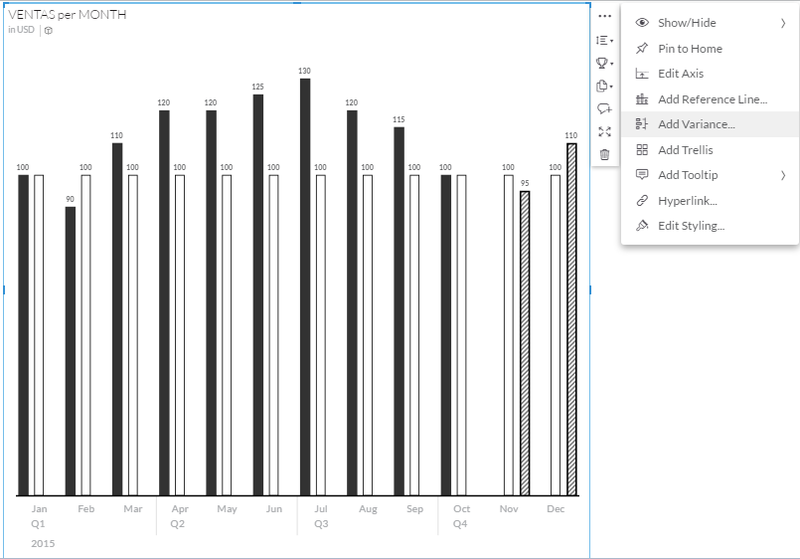 TIP: Error bars and Color by version are not compatible (That’s why this images uses blue columns). Please, try using these objects on your visualizations and comment on my blog.